Brilliant guitarist and composer Steve Edwards is the dynamic powerhouse behind the exceptional Steve Edwards Orchestra. Born into a musical family from Nashville, Tennessee and a former child prodigy, Mr. Edwards’ exquisite technique, breathtaking musicality, and charismatic stage presence have established his reputation as one of the foremost guitarists of his generationcontinually captivating audiences with his electrifying energy and superb musicianship. Mr. Edwards began playing piano at the age of five and began studying guitar at age eleven after hearing a classical guitar recital at his church on Easter Sunday. Since then, Edwards has concertized throughout the United States and Europe as a recitalist, chamber musician, and soloistas well as half of the renowned Edwards-Simmons Guitar Duo. After receiving his bachelor’s degree on a scholarship to DePaul University, where he studied with legendary guitarist Leon Borkowski, Mr. Edwards pursued his Master’s degree at DePaul under the instruction of Mark Maxwell. Mr. Edwards has studied and worked with such world-famous guitarists as Pepé Romero, Christopher Parkening, Denis Azabagic, Douglas Niedt, and Robert Guthrie. An exceptionally talented classical guitarist, Mr. Edwards received the distinguished honor of runner up in the Society of American Musicians Guitar Competition. A versatile chamber musician, Mr. Edwards’s preeminent performance career has included collaborations with many notable artists, including flamenco guitarist Carlos Montoya, legendary jazz pianist George Shearing, and violin virtuoso Gidon Kremer. 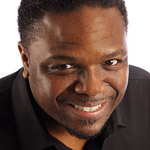 Mr. Edwards’ extensive theatre credits include The Goodman Theatre’s production of Fecerico García-Lorca’s “Yerma” and Light Opera Works’ production of “Man of La Mancha.” Recordings of Mr. Edwards have been featured on national broadcasts by Chicago’s fine arts radio station, 98.7WFMT as well as on Radio France. Having played in bands since the age of eleven, Mr. Edwards formed the Steve Edwards Orchestra in 1994. He has devoted a lifetime of experience to performing and has appeared in concert with Dave Mason, Buddy Guy, and George Shearing. Mr. Edwards is a prolific composer and arranger for film and live theatre. His compositions on Guitarra Azul’s debut CD Mariposa have received great acclaim as well as enthusiastic reception from audiences nationwide. Affectionately known as “The Man with the Golden Voice,” Jeffrey Williams is one of the most talented and charismatic live performers in the Chicago area. A gifted vocal talent, Jeffrey is a musical prodigy who has never taken a lesson in his life and developed his genius for singing as a young child solely by imitating what he heard on the family radio. While many singers claim to interpret a variety of songs, Mr. Williams’ live shows with The Steve Edwards Orchestra feature performances that are virtually indistinguishable from the original recordingsa feat all the more phenomenal when considering the vast range of artists whose music Mr. Williams performs. To describe Mr. Williams’ voice as versatile is to vastly understate the talents of one of the music world’s best-kept secrets. Renown for his elegant renditions of the Great American Songbook as well as standards by Bobby Darin, Louis Armstrong, and Frank Sinatra, Mr. Williams brings his incredible range and infectious energy to magnetic performances of soulful rhythm and blues, electrifying classic rock, as well as spot-on renditions of songs by Michael Jackson, Tom Jones, Barry White, the Bee Jees, and The Temptations. Born and raised in Chicago, Mr. Williams has performed on local and domestic-market commercial recordings as well as voice-over work. Mr. Williams was the frontman for the popular group “The Images of Life”during his tenure the band was enthusiastically received and recorded numerous regional hits. 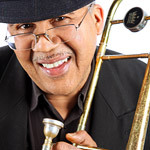 Mr. Williams has also recorded on the CD “Too Cool,” a recent release of The Steve Edwards Orchestra, with which he has performed exclusively since 1994. In addition to his wide vocal range, purity of tone and intonation, faultless phrasing and musicianship, Mr. Williams is a consummate entertainer who interacts and engages with his audience and lights up the room with his captivating personality and irrepressible smile. Mr. Williams’ compelling showmanship makes him one of the most recognizable talents of The Steve Edwards Orchestra. He has performed at some of the most elegant and prestigious corporate and gala events throughout the United States and has dedicated himself to delighting guests at private parties and weddings with The Steve Edwards Orchestra for nearly fifteen years. Mr. Williams makes his home in Chicago where he resides with his wife and three children. 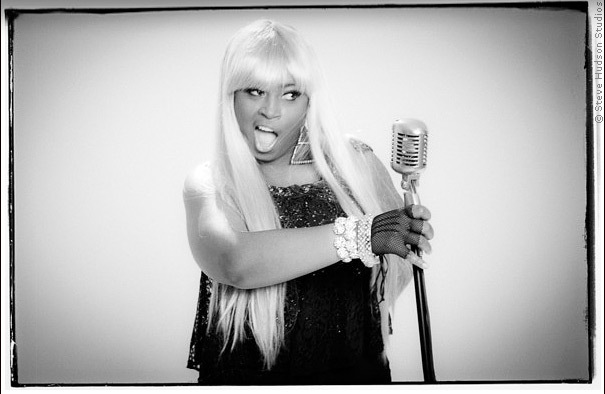 The incomparable Precious Taylor is an accomplished singer, actress, and dancer. Born in Chicago, she began performing at the tender age of eight and was developing her incredible five-octave vocal range doing studio recordings and shows by age eleven. 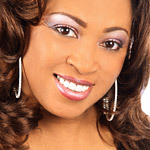 Ms. Taylor began performing with The Steve Edwards Orchestra in 1995. Ms. Taylor has appeared onstage with Carl Carlton (Everlasting Love, Bad Mama Jama) The Temptations, Norman Conners, Michael Henderson, Phil Perry, George Duke, Jr. Walker & the All Stars, Howard Hewitt, The Contours, Dennis Brown, and her auntthe legendary Koko Taylor. She has graced the stages of The Chicago Jazz Festival, Kingston Mines, The Wild Hare, The Green Mill, Brother Jimmy’s, The Cotton Club, The Chicago Blues Festival, The Chicago Theatre, Reggae Sunsplash, The Park West, and The House of Blues. Her international engagements have comprised of several tours of Europe and Asiaincluding a private gospel performance for the Pope in the Vatican Cityand many USO tours for troops stationed around the world. Ms. Taylor’s studio work encompasses numerous infomercials as well as commercials for BET Comic View. Ms. Taylor recently landed the principal role of Sister Callie in Dan Akroyd and Victor Pisano’s The Blues Brothers Revival at Chicago’s Center for the Performing Arts. Her extensive theatrical experience includes Forgotten Pearls at The Oasis Theatre, The Dinah Washington Story at Drury Lane Theatre, and performances with Tommy Gun’s Garage Dinner Theater. She has also performed in The Wiz, A Taste of Honey, and West Side Story. Ms. Taylor majored in opera and minored in theatre at The Chicago Conservatory of Music. The Steve Edwards Orchestra's dynamic new Vocalist/ Dancer has been Energizing The Dance Floor since 2014. Katie Robinette has developed her skills as an engaging and exceptionally talented singer, dancer, and writer. Peforming in various venues from New York City to Los Angeles, including being selected to perform for the Apollo Theatre's famed "Showtime at the Apollo". Katie spent 2004 and 2005 in Los Angeles studying the craft of recording at the Musicians Institute in Hollywood. Katie earned her Bachelors in Music Industry and Recording Technology from York College of Pennsylvania. 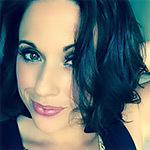 Katie has performed with exceptional bands & musicians all over Philly, Dallas, L.A. & Chicago over the past 15 years and his highly proficient in many genres including pop, rock, jazz, blues and theatrical styles. Katie's original material has been described as "real mental... 80's flavor with a futuristic twist". She debuted her first single "On My Mind" while opening for the one and only C&C Music Factory's Martha Wash ("Everybody Dance Now", "It's Rainin' Men") She is currently wrapping up her first solo album. 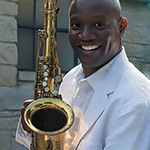 The Steve Edwards Orchestra's Saxophone Wizard Audley Reid is one of Chicago's finest Jazz & R&B Musicians. 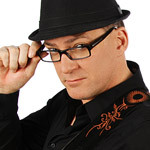 Audley R Reid, often referred to as "Reed", began his musical odyssey over 25 years ago. Proficient on all saxophones, Reid prefers the Alto Sax and his passionate technique, smooth styling and distinctive sound often draws comparisons to the music of David Sanborn and the sax genius of the late Art Porter, Jr.
Reid's effortless performances, across a wide range of musical genres including Jazz, Smooth Jazz, Pop, Rock, and R&B, has afforded him the opportunty to perform with such stars as Buddy Guy, Ray Parker Jr., Phil Perry, Kim Fields, Nick Colionne, Howard Hewett, Will Downing, Michael Henderson, Vivian Green, and Norman Connors before a multitude of audiences at various galas, venues and events throughout the United States, Mexico, Canada, Europe, and in his native Country Jamaica. Having grown up in east Africa to missionary parents, Todd turned his attention to being a musician after returning to the United States. He toured through London, Amsterdam, Paris, and France playing trumpet with Sergio Mendez and Brazil ’77 by the end of his senior year in high school. After graduating from Augustana College, Todd performed with Jazz greats Dizzy Gillespie, Clark Terry, Ed Shaugnessy and Louie Bellson throughout the ‘80s. He went on to tour with consummate R+B artists including Roberta Flack, Gladys Knight and the Pips, and The Temptations. Well-versed in traditional trumpet idioms, Todd earned a Masters Degree in Classical Trumpet Performance from DePaul University and played with the Civic Orchestra of Chicago, International Trumpet Guild Ensemble, and Members of the St. Paul Chamber Orchestra. After getting married and starting a family, Todd returned to DePaul University where he taught applied trumpet and embarked on a freelance trumpet career in Chicago. Todd’s background in big band jazz and R+B is a perfect match for The Steve Edwards Orchestra, which he has enjoyed playing in for the last ten years while also pursuing his passion of international wildlife photography. Todd can be heard on recordings of The Big Band Machine, Phil Wilson Live at the Jazz Showcase, Tab Robinson Your Love is Real, Ed Shaunessey Steady Eddy, The Steve Edwards Orchestra Too Cool and as solo trumpet for Shells on Charles Argersinger’s The Three Fates. 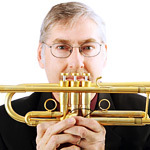 Stephen E. Berry has brought vast experience as a studio musician and a distinguished performance resume to his role as trombonist in The Steve Edwards Orchestra since 1996. Born and raised in Chicago, Stephen received a bachelor’s degree in music from the Chicago Musical College of Roosevelt University. He has performed and recorded with some of the most well-known names in the music industry, including Tony Bennett, Lou Rawls, Frank Sinatra, The Dells, The O’Jays, Nancy Wilson, and Lena Horne. Stephen has toured with and can be heard on recordings of Malachi Thompson’s Africa Brass, Malachi Thompson’s Freebop Band, New Horizons Ensemble, and Edward Wilkerson’s Shadow Vignettes. Past collaborations also include Mike Mason’s Exploratory Ensemble, Marshall Vente’s Project 9 and performances at Ravinia with Princess Magogo. 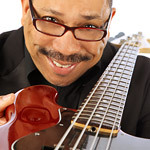 He has performed in classical settings ranging from the Lyric Opera Orchestra to the Grant Park Symphony and is currently a member of the Chicago Sinfonietta, Ensemble Stop-Time, Orbert Davis’ Chicago Jazz Philharmonic, the Chicago Jazz Ensemble, and the New Black Repertory Ensemble. Stephen is featured on several releases from the Chicago-based Delmark record label. In addition to performing, Stephen is a highly regarded music educator and has taught trombone and music theory at the AACM School of Music. He also served as concert consultant for Jazz Express and Classical Express; a collaborative music education initiative between Chicago Public Radio station WBEZ and the Chicago Public Schools. Stephen also has extensive experience in both typesetting and graphic design. Scott Lies has played with The Steve Edwards Orchestra since its inception in 1994 as an integral part of the horn section. A gifted musician of uncommon range, Mr. Lies is one of the most diverse musicians in The Steve Edwards Orchestra. Mr. Lies has performed on alto, tenor, and baritone saxophone; B-flat and bass clarinet; C-flute, alto flute, piccolo; acoustic guitar and electric bass since the ‘70s in various groupsranging from duos to big bands and large ensembles. Mr. Lies began playing the guitar at the age of twelve and attended Waubonsee Junior College in Illinois, where he studied saxophone with Duane Wickeiser, as well as flute and clarinet. Mr. Lies went on to study saxophone performance at Western Illinois University and continued his education at the University of Illinois Champaign-Urbana. Mr. Lies’ television appearances include the most famous and beloved names in the entertainment industry and include the Bob Hope, Jerry Van Dyke, and Phyllis Diller shows. Mr. Lies has toured and performed with some of the most famous and highly regarded musicians and entertainers, including The Platters and Jim Nabors. In addition, Mr. Lies has been performed as a member of the show band for many cruise ships and has been featured in the pit bands and orchestras for numerous musical productions and shows throughout the Chicago area on clarinet, flute, and saxophone as well as guitar and bass. In addition to being a skilled performer and entertainer, Mr. Lies is an accomplished and devoted music educator, and has taught lessons on various instruments since 1975 and continues to instruct on sax, clarinet and flute. Currently living in Chicago, IL, Thor was born in Madison, WI, and raised in Portage, WI. After studying piano as an elementary student, he then joined the school band like most kids. In junior high, Thor joined the jazz band, and it was there where he first discovered, quite by accident, that he had an affinity for playing drums. It was also in jazz band where he played with his first rock band, Blindspot. In high school Thor continued playing drums in school band as well as in outside rock groups. He was also a lead actor in plays and musicals, developing a love for being on stage and a passion for performing. Later in high school Thor enjoyed making movies in a video production class, which ignited an interest in large-scale productions. Thor then enrolled at UW-Milwaukee for film, but quickly discovered that his life in Portage had not prepared him for the opportunities that larger cities provide artistically. It had never occurred to him that one could make a living playing music before moving to Milwaukee. He then changed his major to music, and spent 5 years learning classical art percussion. While in school Thor played at many venues around Milwaukee: night clubs, festivals, concert halls, parties, weddings, and more. Upon completing school, Thor spent the next couple years working as a musician, teaching and playing music. In 2008, Thor enrolled at Lakeside School of Massage Therapy. He became a licensed massage therapist and worked in the field for about 2 years before he discovered that drumming and massage therapy has a tendency to overwork one's hands! So, he quit. Thor had the great opportunity to play and record with many great Milwaukee artists, including Tyler Traband, The Dark Clan, The Love Is Loud, Tammy Ann Winn, KatieBeth, and others. In 2010, Thor released his first album, "Altitudes & Catari Ariyasaccani" at the Miramar Theatre in Milwaukee. It is an all-instrumental album, featuring two long pieces. While the album was very well-received, Thor wanted to discover what he could do with vocal music, and began work on a vocal album. In 2011, Thor worked on cruise ships for P&O Australia from April-August, and then again from September-January. In between contracts Thor released "The Multitude" at Shank Hall. 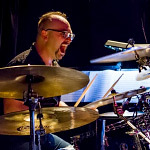 Upon completing his second ship contract in January, 2012, Thor moved with his wife, violinist Stephanie Young, to Chicago, IL, where he has been found playing with The Steve Edwards Orchestra, 1976, About Nothin, Brass from the Past, Chez Butter, Chase Revisited, Animal Farm, Bowtime Quintet, and others. In September 2013, Thor released his third album, Great Stone Stories at the Des Plaines Theatre in Des Plaines, IL. More information on this release on the Great Stone Stories page! Thanks for reading and checking out my website! In 2014 Thor began working on chamber music for the Bowtime Quintet, an extension of his duo with Stephanie. Bowtime Quintet now performs as a regular ensemble throughout the Midwest. Go to the Bowtime Quintet page to hear more! 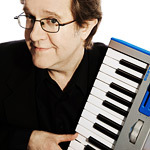 In addition to the following credits, Chris is one of Chicago’s premier session keyboardists and composers. During the past 3 decades he has written and arranged music for numerous national television and radio commercials, and played on thousands more for clients such as Coca-Cola, McDonalds, Budweiser, Ford, etc…. He has Performed with, Recorded With, and Written for Some of the Biggest Names in Music: John Mayall, Richie Havens, Etta James, Chuck Berry, The Freddy Jones Band, Dave Mason, James Brown, Bo Diddley, Dolly Parton, Big Twist and The Mellow Fellows, Mick Taylor, Eddie Money, Mavis Staples, Dennis DeYoung, The Commodores, Bob Dylan, Ramsey Lewis, Mississippi Heat, and many, many More! 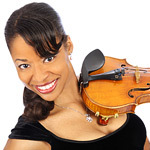 Edith Yokley is a violinist from Chicago. Ms. Yokley is a member of the Chicago Sinfonietta and Soulful Symphony in Baltimore. She has performed with such artists as CeeLo Green, J.Lo, Common, Barry White, Mos Def, Nancy Wilson, Andrea Boccelli, Sheila E., Smokey Robinson, Aretha Franklin, Donnie McClurkin, Richard Smallwood, Shirley Ceaser, Dennis DeYoung of the Styxx, and Diana Ross and the Supremes. Ms. Yokley has appeared on the Oprah, Today, and Conan O’brien Shows as well as The Voice. Edith received her masters degree from the University of Michigan at Ann Arbor where as a violin fellow, she studied with Professor Paul Kantor. While at the University of Michigan, Edith was a member of the University’s Mariach Troupe and subsequently began jazz improvisation. She has been featured on several CDs including Alicia Keys, Faith Evans, Common, Donnie McClurkin, Joe, and does session work in both Chicago and New York. In 2009,Edith started DjViolin.com in which she and other musicians in her company improvise live with djs. MissEdith as she is known in this realm performs at Y, Cuvee, and other clubs and lounges in Chicago and the rest of the country. She is a member of the Covergirls Violin Show (a five female electric violin band) and a violinist with The Steve Edwards Orchestra in Chicago. Edith is a contractor in New York and Chicago having contracted ensembles for such notable venues as the Apollo Theater and Rose Hall at Jazz at Lincoln Center, as well as recording sessions in New York. Edith is the orchestral instructor for the Apostolic Church of God’s youth Orchestra, violin instructor at the Merit School of Music, and maintains her own private studio. Zara Zaharieva was born in Pleven Bulgaria and started studying the violin at the tender age of 3. There was always great music playing in her childhood and youth. From Stevie Wonder, Ray Charles, Janis Joplin, Yes, Chick Corea, Jamiroquai, Dave Weckl, Sepultura to Pantera, Johann Sebastian Bach and Mendelssohn, Zara was influenced by the greats from an early age. She attended the music school Panayot Pipkov in Pleven where she spent her middle and high school years training in classical music, sky diving and martial arts. Zara moved to the United States right out of high school, and she won a full scholarship to DePaul University to study with Stefan Hersch at age 19. Later, she continued her education at Northern Illinois University where she studied classical violin and chamber music under Shmuel Ashkenasi. While at N.I.U., she was further exposed to jazz and other styles of music through her classmates and via live shows in Dekalb and Chicago. Zara drew upon her eclectic musical background to develop and showcase her wide-ranging musical talents. She played in all different kinds of groups including jazz combos, chamber groups and orchestras at NIU, thereby solidifying her skills performing in various musical genres. Zara has shared the stage with Mana, Lowen and Navarro, Nabori, Sharay Reed, Ernie Adams, Orbert Davis Chicago Jazz Philharmonic, Eldar Djangirov, Joshua Ramos, Victor Garcia, Darwin Hobbs, Richard Smallwood, Bill Dickens, Hutch Hutchinson and many more. She regularly performs with The Steve Edwards Orchestra and a great number of Chicago's other premiere live bands. These include groups such as: Zara Zaharieva Quartet Ft. Anthony Bracco, Joshua Ramos and Anthony Capers, The Cover Girls Violin Show, Grupo Charangero, Father Michael Phleiger's St Sabina Worship Band, Guitarra Azul, and many more. Zara has made a number of recordings, many of which utilize her own musical arrangements, and include string sections she has put together. She has recorded with Donald Lawrence, Gospel organist and singer Pierre Walker, Eddie Sea, Jack Cassidy's Symbia, St Sabina Worship Team, Mike Cunningham, Chicago Jazz Philharmonic (with Orbert Davis), Latin Singing Star Jesus Enriquez, Ruben Agosto and Powerplay, Victor Garcia, Jennifer Peterson and many more. She also put together an all-star string section and arranged the music for famed Chicago Jazz Pianist , Charlie Johnson's wedding. Zara Zaharieva is constantly pushing her musical envelope as she maintains a rigorous and ever-changing performance schedule and records throughout Chicago and the United States. 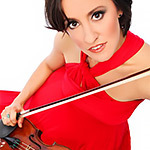 Violinist Emma Smoler was born and raised in a musical family, performing piano, violin, and vocal from the time she was big enough to step up to a microphone. Emma was the winner of the Midland Symphony Orchestra Fellowship, a prestigious full scholarship to study violin performance at Central Michigan University while also performing in a professional regional symphony orchestra. Emma was concertmaster of the Central Michigan University Symphony and while there studied under Seunghee Lee and Wei-Tsun Chang. Emma has performed and toured worldwide, and has played with world class performers such as Edgar Meyer, Anne Akiko Meyers, and the Camerata Antonio Lucio of Amsterdam. Emma has performed with numerous symphonies and chamber groups in Chicago, as well as improvisational and bluegrass work with local Chicago bands. 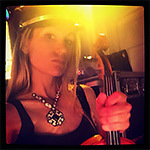 But nothing gives her quite the thrill as being an SEO Violin Angel! The Steve Edwards Orchestra's Violin Virtuoso Victoria Moriera Has been Dazzling and astounding audiences worldwide with her artistry. 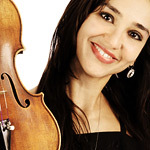 Violinist Victoria Moreira, founding member of the Kaia String Quartet, has performed extensively throughout the USA and her natuay in vViolinistenues such as the Chicago Cultural Arts Center, Jay Pritzker Pavillion, Harris Theater, United Nations and Teatro Solis, MoViolinist ntevideo Uruguay. 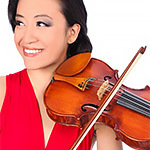 She has also performed at the Orford Center for the Arts in Canada and the National Center for the Performing ArViolinistts in Beijing, among other venues in China. First Prize winner of Viva El Tango Agustin Carlevaro Competition, Moreira’s diverse musical background keeps her involved internationally in the Tango scene. Her latest recording project as co-producer of Mark Sonksen’s Vicisitudes with Tangata Ensemble is expected to be released in 2012 being her third tango record collaboration. Previous projects include Sonksen’s Postales del Sur and Argentina tango on stage, with Carlos Marzan and his ensemble in Buenos Aires, Argentina. She has also performed in the Chicago Latino Music Festival since 2007 with ensembles such as the Latin American-focused ensemble, Ondas and has been involved with the Chicago Tango Festival and American Tango Institute since 2006. Moreira has been involved as a solo, chamber and orchestral musician in Chicago as concertmistress of Oistrakh Symphony Orchestra and Assistant Concertmaster of Northbrook Symphony. In addition to her membership with the Ondas Ensemble, she has also collaborated with the MAVerik Ensemble, a Chicago-based group focusing on contemporary classical music. She was also winner of the 2010 DePaul Concerto Competition. As a faculty member at DePaul University Community Music Division Moreira maintains a studio at the institution as well as a private studio in the Chicago area. Some of her educational projects include Tango workshops for violinists at Old Town School of Folk Music and outreach concerts of Tango and Latin American Music in public schools through Evanston in School Music Association. Moreira studied at Escuela Universitaria de Musica, Montevideo Uruguay under Jorge Risi, received her Bachelor of Music at Roosevelt University under Vadim Gluzman and her Master of Music and Artist Certificate at DePaul University under Ilya Kaler. The Steve Edwards Orchestra's newest Violin Angel Naomi Culp is a dedicated performer, collaborator, and educator in the greater Chicago area. As an experienced chamber, orchestral and solo artist Ms. Culp has performed extensively throughout the United States, Russia, China, Taiwan, Japan, and Australia. She was awarded first prize in the National Fine Arts Festival Competition, Washington, D.C. in 2003 where she gave a performance in front of the Capitol Building. Colin Williams is The Steve Edwards Orchestra's professional sound engineer and behind the scenes technical support. 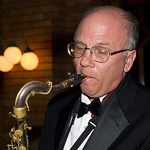 The Steve Edwards Orchestra depends on the highest quality audio equipment and the expertise of the engineers to ensure that the “mix” coming from the public address system combined with the live sound of the band onstage strikes the perfect balance for the occasion, event timeline, and acoustical tendencies of the venue. Steve Edwards’ direction and the technical skill of the orchestra’s professional audio engineers guarantees that the sound of The Steve Edwards Orchestra is beautiful and tastefulnever obtrusiveduring dinner music and throughout the evening. Your guests will be out on the dance floor having the time of their lives while still being able to carry on a conversation. Requests for volume adjustments will always be gladly accommodated! The Steve Edwards Orchestra and the set-up technicians coordinate with the venue and event planning staff to ensure that all stage preparation and sound checks are completed hours ahead of time so that the room looks finished and photo-ready prior to the arrival of your guests. The Steve Edwards Orchestra’s audio equipment always includes wireless microphones, which are available to the client and guests and ensure that announcements or toasts can be made from any location in the room.